I am interviewing people that are public speakers. They are sharing how they overcame their fear and became competent speakers. Some will be for speeches, others workshops and even organizing full events. If you would like to make a change in the World then being able to speak in public is critical to get followers. To improve your communication skills, just talk. Leave you comfort zone. When you have a message, you create a connection to the audience. The Healthy Attitude is the most Important. How to Learn a Language. Don't compare yourself to others. You are not a rabbit to eat only salad. Indulge without guilt. Have a Positive Mindset. Explains his role as past President on the club. His Favourite Start to get the audiences attention' Hello Beautiful Girl' Try to see the World from the Audiences point of view. How he practices his speeches. Explans his Charity work with Children with Special needs. How to Practice your English Leadership Roles How to be a Good Communicator How to Create an Atmosphere in an Event. How to give an Effective Evaluation You Never Know in Life when you will be called to Speak Build Your Tribe Help People Transform from a Caterpillar to a Butterfly What Is the one Sentance that People Remember from your Speech. In this Episode you will learn from Erik that speaking in public is just like having a conversation. Irrelevant of your position, being human allows you to connect with people. Why Fitness is important if you are doing an Event. How to Structure an 8 Hr Speaking Event. Knowing what to Charge as a Speaker. The ethics of speaking to sell and when to pitch. In this episode you will learn the advantages of recording your speeches. The advantages of being a mentor or being a mentee. Why Pathways is better. How to get brave in front of a large audience. 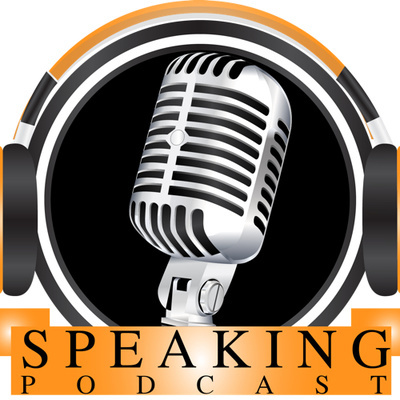 In this episode not only do I share how I wrote my speech that I performed 2 days earlier but I also have uploaded the speech to youtube speakingpodcast channel and posted a picture of my Mind Map on the Facebook page speakingpodcast. I explain why I changed my process of speech writing because of result and time commitments. Learn how to speak at Universities. How to communicate on TV & Radio with techniques to improve. How to give a speech that reaches all audiences in you are an Engineer or Dr. How to Protect yourself if the TV or Radio interviews spin your message. Jaroslaw is a TEDx and motivational speaker and the founder of GKMA( Global Krag Maga Academy). He speaks about crisis negotiating training and also how to speak with an aggressor which could include a manager or boss. He explains his Martial Arts journey which is highly entertaining. Jaroslaw creates workshops for companies and the private sector and explains a bit on this. Gautam has had over 7 million views on his TEDx speech. In this episode he explains how he prepared for that speech and how he overcame problems on stage. He talks about reprogramming your brain so do do not beat yourself up. We also discuss how he prepares speeches and his 4 day Event LifePlugin. My guest this week is only 17 but Antek explains how he has gotten so confident on stage. He mentions how it helped his get into the United World College in Mostar but also why it would help with a job interview. Lots of tips and techniques on how to be a better speaker. Here I give some tips on how to improve in a competition. I explain what future episodes will be about. How you can get a free breathwork ebook from podcast No.4 I also mention if you do not like what you see in the world what you can do about it. Before you swip left you will learn a few things in this episode with a young Entrepreneur. We discuss the role of a host, how to prepare speeches using mindmaps and also talking with the camera. This is good advice from Krzysztof as his profession is photography and videography. I include a small interview with my 4year old son just to get the message across to start young with public speaking. Do not wait until you are in your 40's like me. But also you can start at 80 as it's never too late. I give a bit of advice on how to prevent pause fillers and on the timing of speeches. I also mention how you can find content for a speech. Authors of 'Lower Stress Naturally', Angelina and Shane Saunders explain why breathing is so important in Public Speaking. They also share how they have been able to achieve harmony on stage when working together. Justyna is a DTM( Distinguished Toast Master), which is the highest award available in Toastmasters. Justyna has also hosted a lot of TEDx events. It was at one of these events that I met Justyna and I was very impressed with her speaking skills. In this podcast Justyna explains what she gained from the organisation and her speaking journey. This week I was speaking with a very experienced Toastmaster Tomasz Sobiesiak and Entrepreneur. He was the winner of the 2012 Humorous speaking contest in Poland. Tomasz gives some great advice for preparing a speech. Episode 1 - Why I Started Speaking Podcast? The very first episode of my Podcast. The purpose is to help people with public speaking, creating workshops or events.